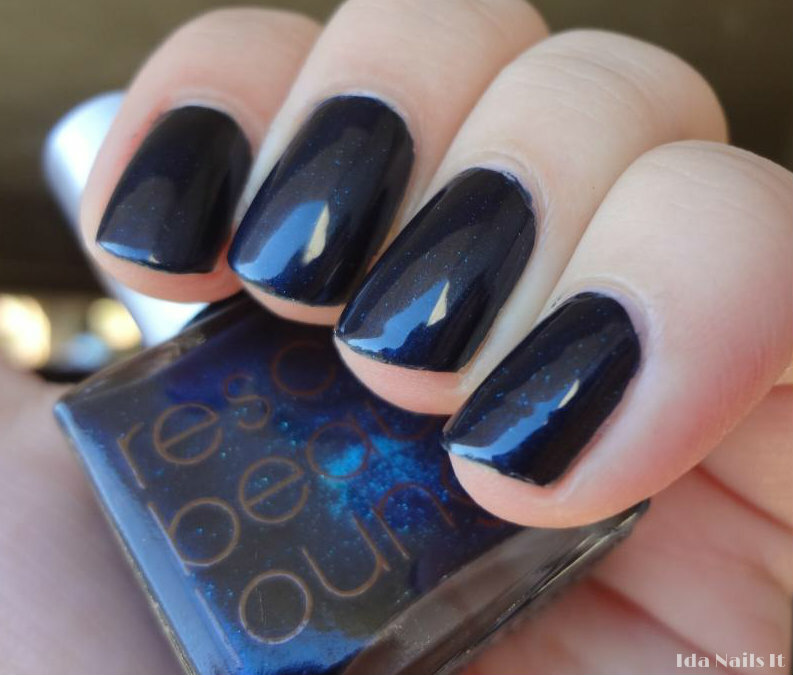 Under the Stars is a blackened blue with tiny micro-glitter. Or is it shimmer? However it's classified, it's meant to resemble the night sky, that open dark space with stars twinkling. The shimmer is more visible is direct sunlight but either way, the polish is beautiful. 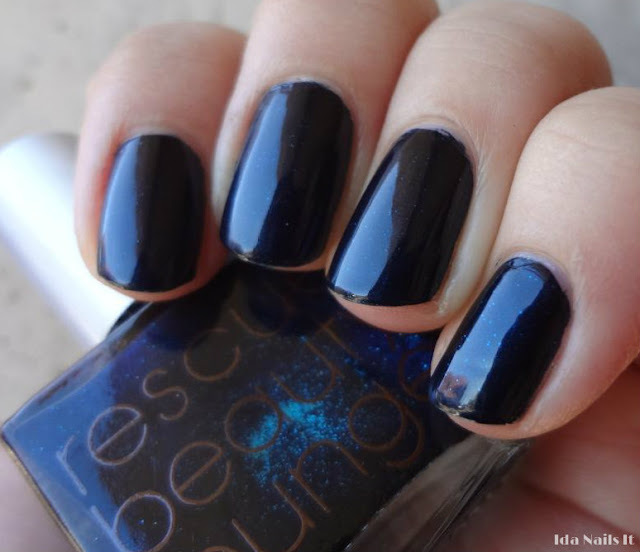 I don't think this is available through Rescue Beauty's webstore any longer but there other polishes available to purchase.